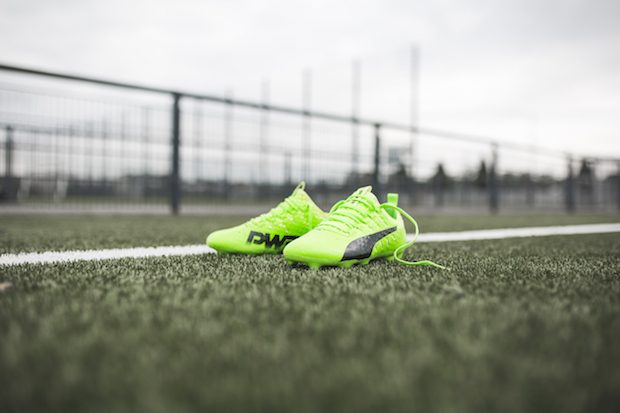 Puma continue to hit it out of the park with their hard-hitting evoPOWER silo with the official launch of the evoPOWER Vigor. Puma traditionally have introduced their latest innovations in a camo form and the evoPOWER Vigor was not any different. 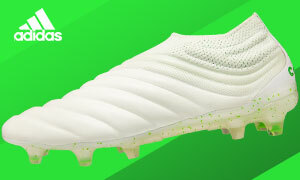 The boot was released a few weeks back in a white/black/green colorway that evoPOWER stars such as Olivier Giroud and Mario Balotelli showed off both on feet and on their respective social media pages. With the camo version released, Puma brought out the new launch colorways for the evoPOWER Vigor and all the tech specs that we love to know about. 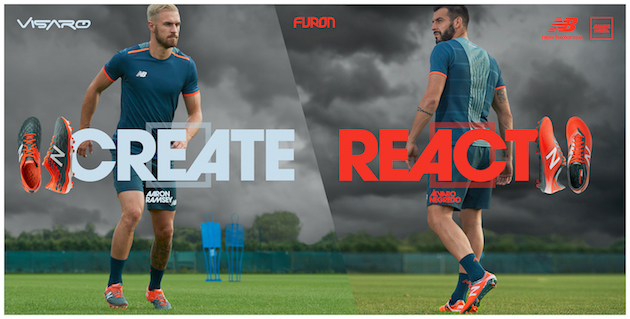 Let’s start out by talking about the improvements or latest innovations that will put the Puma evoPOWER back on top of it’s game. The new one-piece construction upper takes the boot to new levels in terms of fit and comfort. The tongue, or what would be a tongue normally, is made from a Spandex material that will be stretchable to give a more personal fit to any wearer. The “exposed” areas on the upper are created entirely from AccuFoam padding with raised foam yellow dots to help create more power for your strike. 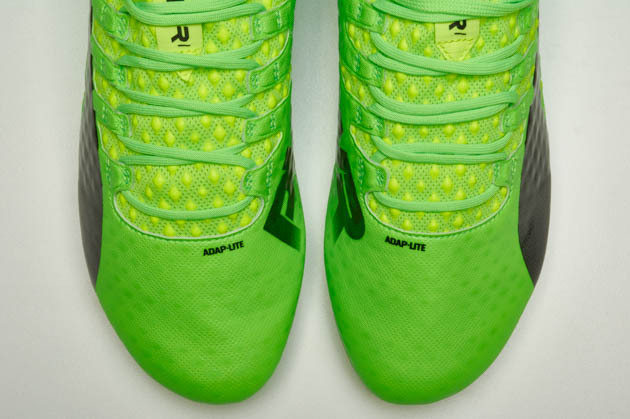 For the rest of the shoe, we see the Adap-Lite upper that has been one of the key features that has us boot nerds loving the evoPOWER line. 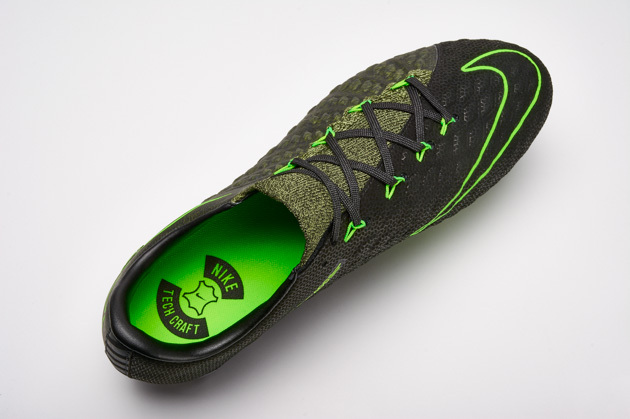 The Adap-Lite upper is combined with GripTex on top to help give added grip on the ball in wet weather conditions. 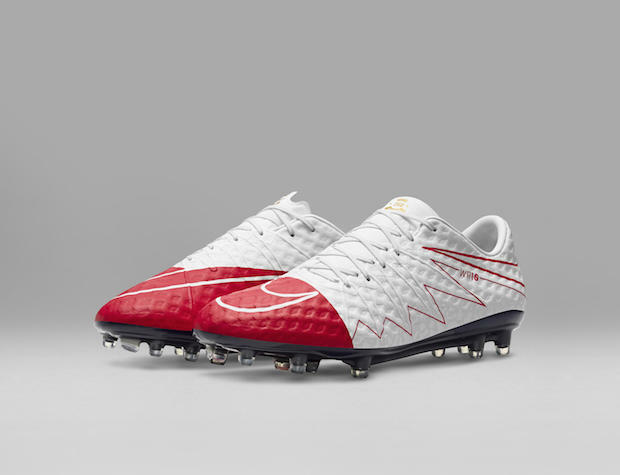 The soleplate remains one of the greatest outsoles out there right now with the mix of conical and oval shaped studs. With all of the tech specs and things that help show off the science behind the evoPOWER Vigor out of the way, we can briefly take a look at the two colorways available right now. Puma officially launched with the Green Gecko colorway on their social media pages and this is the color that Olivier Giroud, Mario Balotelli, Petr Cech, and Marc Bartra will be wearing in the coming weeks. 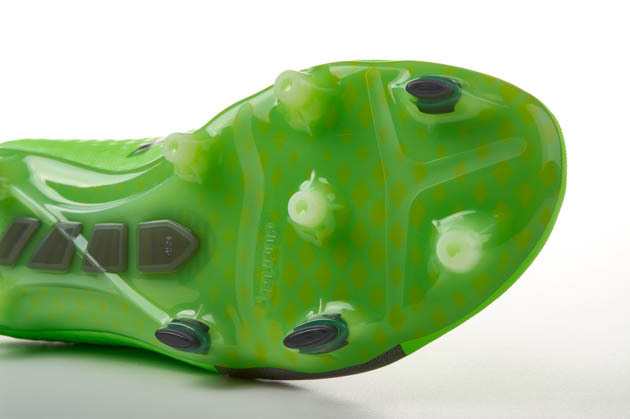 The Puma formstripe and PWR branding on the instep are the only bits of black on the boots for the Green Gecko, but that gives this a nice little contrast to what I believe to be a rather simple colorway from Puma. However, Puma also launched the Black/Silver colorway that features a black base with silver branding on the formstripe and PWR logo. A Hot Pink colorway outlines the collar and soleplate to add some bursting color onto a rather dark colorway. Both have a lot to offer and will attract different style boot wearers. So whether you want to go subtle with the Black and Silver or stand out with the Green Gecko, Puma have got you covered. 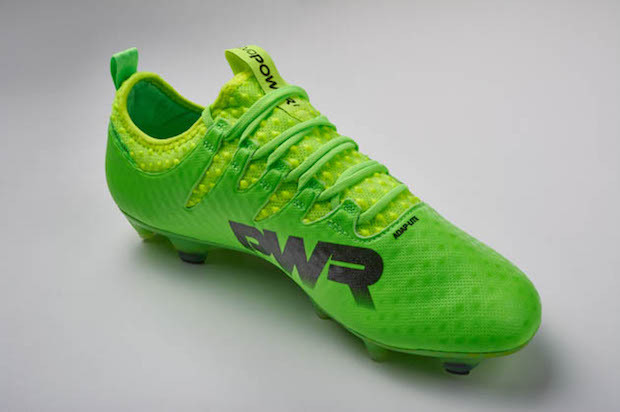 So what your impressions of the new evoPOWER? Will this continue the evoPOWER lines impressive line?